Good news! Amulet Books/Abrams is offering a giveaway for twenty advance reading copies (ARCs) of The Cure for Dreaming! To enter, head over to Goodreads and follow the instructions on the site. The giveaway runs until June 20, 2014, and it's open to U.S. and Canadian residents. Now, I've already heard from readers in other countries who were disappointed to learn that they're unable to enter. Rest assured, I have a feeling A&C Kids UK will eventually run international ARC giveaways, just as they did with In the Shadow of Blackbirds. I haven't actually seen the ARCs for The Cure for Dreaming yet, but it sounds like they'll be available in June. If you're going to Book Expo America this week, I don't think the ARCs will be there, but you can stop by the Abrams Books booth, #2727, to be absolutely sure—and to check out their other Fall 2014 ARCs. 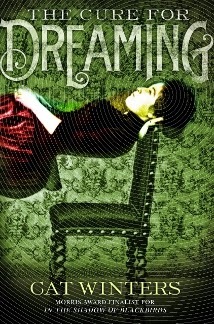 Advance copies of The Cure for Dreaming will definitely be available at the ALA Annual Conference in June, as will I. Please see my Events page for my signing and speaking schedule. I will list options for requesting ARCs as soon as I know they're available. The Cure for Dreaming should also be appearing on NetGalley in the coming weeks. I can't believe early readers will be meeting this new book of mine soon! I can't wait to share it with everyone. 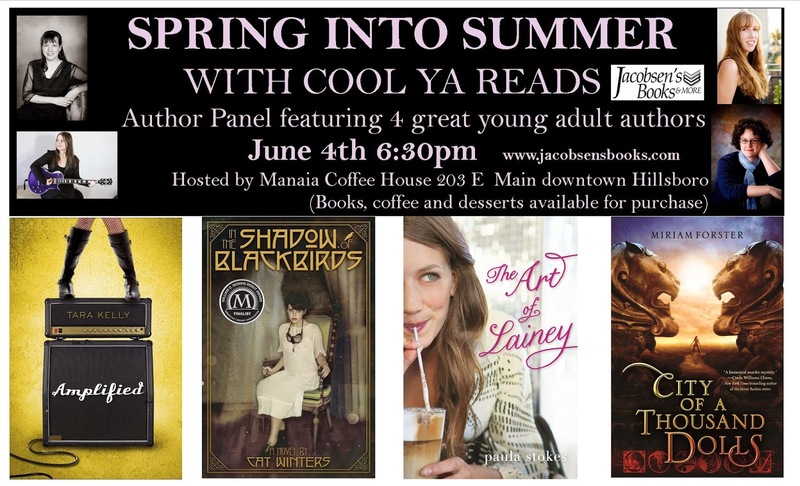 Spring into Summer with Cool YA Reads panel and signing with Cat Winters, Paula Stokes, Miriam Forster, and Tara Kelly. Click on the image to view larger version. 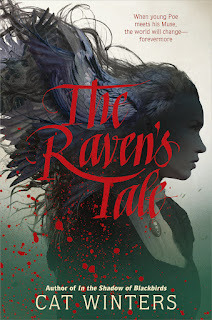 In the Shadow of Blackbirds presentation, Q&A session, giveaways, signing. LAUNCH PARTY FOR THE CURE FOR DREAMING!!!! 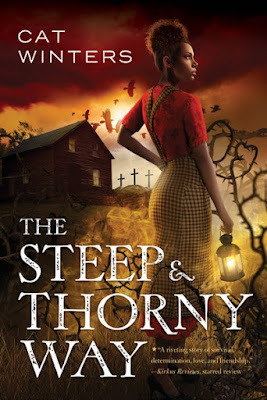 I'll be bringing treats and giveaways to celebrate the release of both my newest novel and the paperback edition of In the Shadow of Blackbirds. The Cure for Dreaming reading and signing. More 2014 events are currently in the works. 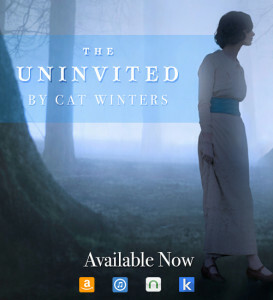 Please keep an eye on www.catwinters.com/p/events.html for updates. I'll be reading children's books as part of the inaugural Indies First Storytime Day, part of Celebrate Children's Book Week. Events and signing schedule TBA. I will be appearing that Saturday and Sunday. Fall 2014 events are currently in the works. 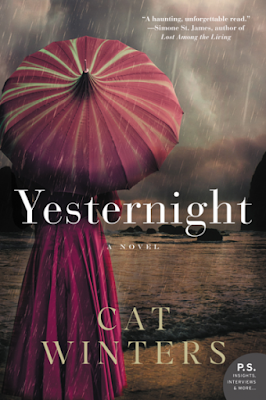 Please keep an eye on www.catwinters.com/p/events.html for updates. 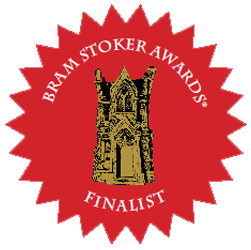 Tomorrow evening (Saturday, May 10), I'm heading to the Bram Stoker Awards Banquet, which, conveniently for me, will be held right here in Portland this year as part of the 2014 World Horror Convention. 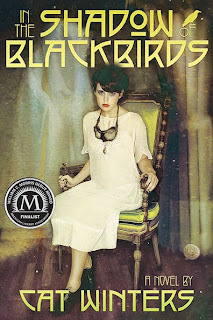 In the Shadow of Blackbirds is a Bram Stoker Awards Finalist in the category of Superior Achievement in a Young Adult Novel, and I'm thrilled to pieces. 3. If a password is required, enter the meeting password: whc2014 . Click "Join". For assistance, go to https://avms.webex.com/avms/mc and on the left navigation bar, click "Support." This weekend was a tough one. My husband, kids, and I had to put our beloved 16 1/2-year-old dog, Iggy, to sleep. He lived an incredibly long and happy life that spanned from my early years of marriage as a twentysomething in San Diego to my modern world as a working writer with two kids in Oregon. Even though we knew we wouldn't have Iggy with us much longer, losing him has left an empty gap in our house. I usually sit here in the mornings, checking my emails and getting started on my writing for the day, while he slept downstairs until our late-morning walk and lunchtime. In the recent months, his "walk" mainly consisted of me taking him out to the front yard so he could smell the flowers before I went out on a longer walk by myself, but I will miss even those small moments of watching him bury his face in all the foliage. He was sweet and gentle up until his final moments, and I even managed to get one last tail wag from him just hours before we had to let him go. Even when he became uncomfortable and ill, he never growled; he never got grumpy. Throughout In the Shadow of Blackbirds, I slipped in personal references to my own life and to the people I love. Family birthdays, the names of inspirational teachers, a play my sister and I enjoyed as kids, etc., all managed to find their way into the book. My nod to Iggy came in the form of the character Paul Spitz, after whom Chapter Twenty is named. 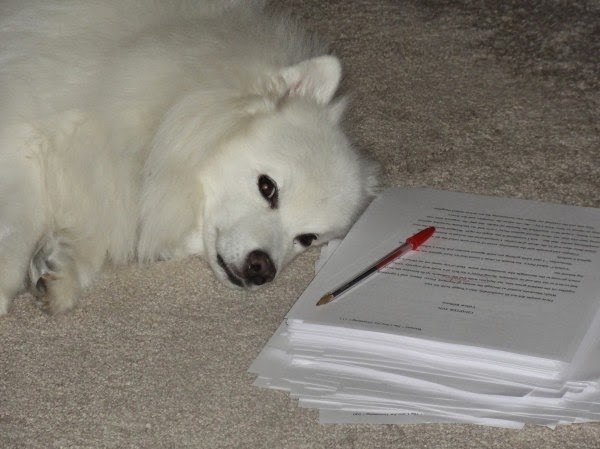 Iggy's breed is called "American Eskimo" or "Eskie" in modern times, but up until 1917, it was "American Spitz." The name is believed to have been changed because of the push to Americanize all German names during World War I. I found it fascinating that my own dog's breed contained a connection to the war, and when I was looking for a German last name for Paul, "Spitz" seemed perfect. I love that a little bit of Iggy has now been immortalized in this novel. Although my house and my heart feel empty and painful today, I will always cherish all the photos and memories that came about from a pup who managed to live almost two decades. Thank you, Iggy, for showing so many people how love and sweetness make the world a better place. Iggy, guarding the manuscript for The Cure for Dreaming last fall.